Happy New York Fashion Week! Have you guys been keeping up with the shows either via live streaming or Instagram? I unfortunately had some projects keeping me in San Francisco this year but with social media…its like you’re sitting front row! All the fashion–without the jetlag, right? Aside from seeing all of the designer’s new collections coming out, its also so fun to see what everyone is wearing outside of the shows. I’ll admit it…my Instagram scrolling has increased by a huge amount the past week because its fun to soak in what everyone is wearing! When I wasn’t glued to my phone, I met up with my blogger pals in San Francisco and opted for a look that was half casual, half glam. 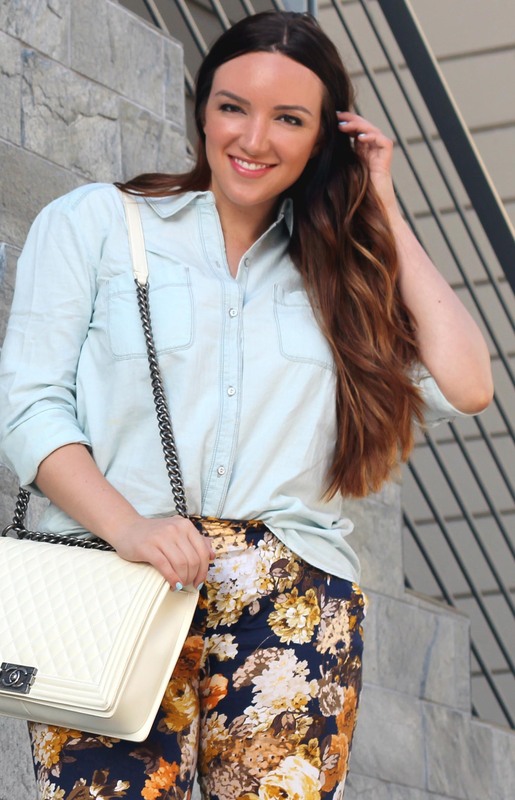 There is nothing like a oversized, worn in chambray shirt paired with great accessories. Another thing I’ve been obsessing about on Instagram? How gorgeous everyone’s hair is after being transformed by TRESemmé at their Mercedes Benz Fashion Week salon. To join in on the fun, I opted for some long, loose waves to keep in line with my casual / glam look. I added a bit of TRESemmé’s Cashmere Touch Hydrating Serum to give a little extra pop and shine to my ombré color. TRESemmé, the official hair care sponsor of Mercedes-Benz Fashion Week, shows women how they can achieve ready-to-wear hair at home by giving them access to the latest stylist secrets and hair trends straight from the runway. Check out these how-to videos to see how you can get a runway-inspired look, and watch exclusive behind the scenes footage from the Fall 2014 Mercedes-Benz Fashion Week in New York! It’s like we are right there with ’em, enjoy! 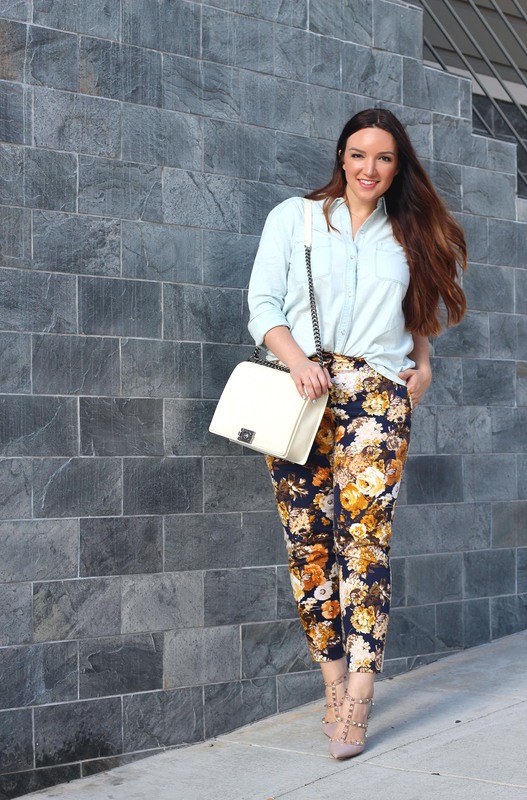 I’ve said it before and I’ll say it again…the best accessory you can wear is a great head of hair! My friends at TRESemmé want you to get your own runway hair and are graciously providing a lucky Just Add Glam reader with a fabulous runway-ready hair package containing Tres Two Extra Firm Control Hair Spray, TRESemme Keratin Smooth Infusing Smoothing Serum, a Cara ‘Desert Jewel’ head wrap, and a $10 Walgreens giftcard! Entering is easy using the Rafflecopter widget below…good luck! And one more thing…Go to your local Walgreens on Saturday October 4th, 2014 from 10am-5pm for a TRESemmé coupon and expert advice from Walgreens’ beauty advisors! Opinions are 100% my own. Thank you for supporting posts that keep Just Add Glam’s doors open! I have also been spending a little too much of time on instagram courtesy the NYFW updates 🙂 As of now I am absolute awe of J Crew, Derek Lam and Tory Burch collections this year. Would love to know which ones are your favorite? I would buy, it’s a 10 Miracle Leave In Product. I love this stuff! And your style! I would update my make-up tools and buy a new strainer or curler! I would get some other beauty products. I would use the gift card to go buy the great hair products. I would give them to my daughter, she would love it. I would get me some “up-to-date” hair products for me!! I am due any day with my 2nd child so I would buy some goodies for myself ! I would give the great hair package to my 16 year old. She is so into hairdos this would be wonderful for her. Because the Florida humidity is still alive and well, I could definitely use the hair products to keep my hair under control. And I would use the gift card to buy some cute ponytail holders for those days when the humidity wins …. It’s high time I gave my hair a spa treatment. I spend very little on things like cosmetics lately. I would love to splurge and get some new stuff! Iam heading to a wedding next month so i would give myself a nice hair do with all these great products! Thanks! I like the Tres Two Extra Firm Control Hair Spray and would do a nice french twist with it. i would keep the prize. I like to have braids in my hair. I would buy some hair products and skin products with the gift card. I would get some new lipstick to go with my newly pretty hair. I would use the hair products myself because I need it badly and I would use the gift card to purchase some cosmetics. Great look, love the natural look hair! I would love to try the products out, staying with my daughter, in Toronto and the weather is so different that my hair is not good lol tried a few products but so far nothing is working! Great reviews on these. My favorite is the TRESemme Keratin Smooth Infusing Smoothing Serum and I would keep this great hair package for myself and would use the gift card to by laundry detergent at Walgreens. I would love to update my make-up and hair tools — I’ve been on a rut lately. I’d stock up on beauty supplies…Walgreens has a good selection. I would buy some household staples like paper towels, cleaning supplies, and splurge on some more hair products if I won. I would buy TRESemmé shampoo and conditioner to go along with the other products. I would use the gift card to buy a hair straightener because my hair frizzes like crazy! I would buy some hair products! I would give it to my daughter, she is so wonderful and creative when it comes to hair.! I would definitely get some nail polish and nail art supplies, and my hair can always use some extra TLC! I would buy makeup or Hair products. Not sure which. My daughter would use the products, and want the card to buy make-up. I would love to try the hairspray! KkLtRwQ5kp6e I would use the hair package with my daughters and use the gift card for someone else like my mom. I would buy some great products to sue in my family’s hair! My daughters and I have an abundance of Hair ! We would use this hair package to look amazing! Also the gift card to buy more and more stuff for our hair! I would love to try new hairstyles. I am over 40 now and need to update the look! I will get new makeup! I would buy a hair straightener and curler! Gift for my girlfriend ! I would use the gift card to purchase beauty & hair products. I would use the hair products to bring my dull hair back to life. I would buy my daughter some new perfume with the giftcard and maybe some hair accessories, she has a Birthday coming up soon so winning this would be great. I would definitely keep the great hair package for myself as I love TRESemme and could definitely use some hair TLC after this rough, frizzy summer weather. As for the Walgreens gift card I would totally use it for makeup and skin care products. That Keretin sounds nice and Id probably use the giftcard to buy baby formula because I buy 2 tubs of it a week at Walgreens! I would try out the new hair products and then stock up on makeup and nail polish at walgreens! This would be a great package to win! I love these products. I would probably be inspired to grow my hair a little longer and I would take extra time styling it. I would use the gift card towards a set or rollers or some kind of hair tool. 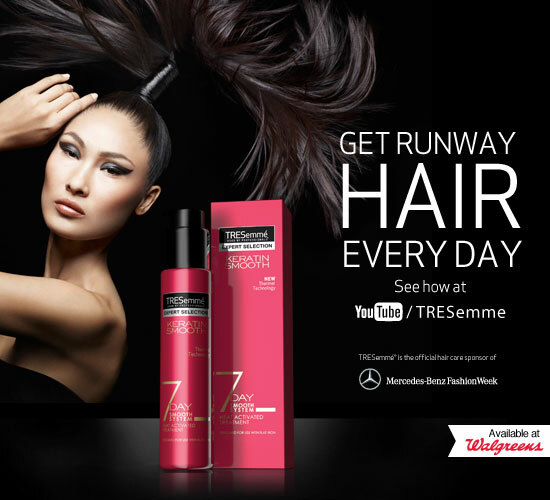 I would treat my hair to a special hair day – by treating it with great Tresemme Hair Products. I would use the Gift Card to purchase a new hair dryer. I’d use the Walgreen’s gift card for more Tresemme products, facial cleanser and snacks. I would use the package for my own hair, which really needs a pick-me up and buy some extra styling tools with the giftcard. Thanks for the giveaway. I would finally get rid of some of my ancient hair products. I am always looking for a better hair conditioner. 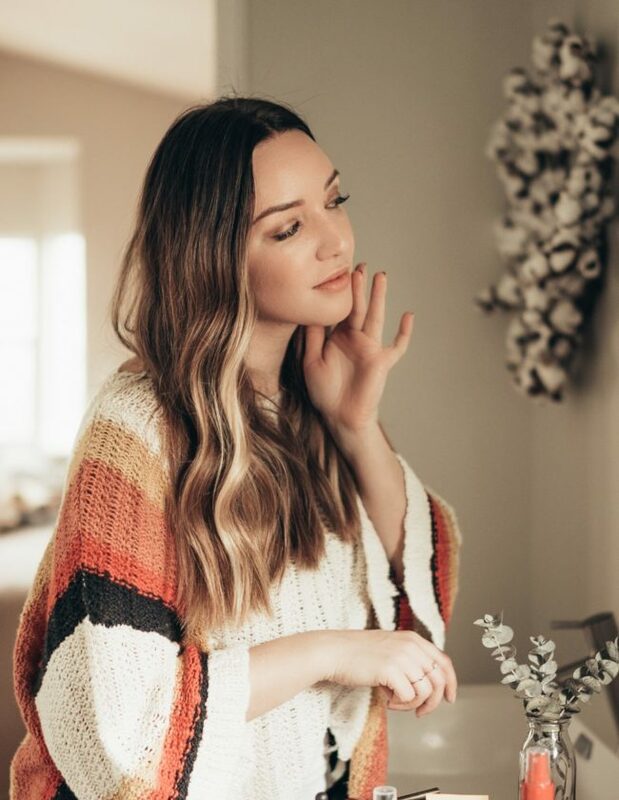 I love the loose waves look and would style my hair like that for an upcoming wedding I am attending! I would use the giftcard towards some new hairclips and hair elastics as well! I would buy face products. I would buy another Tresemme hair product, maybe a few hair clips. i would give it to them to my mom,she will love it. I would buy shampoo and conditioner with it. I would love to try all the products esp. the smoothing serum!!! and I would use the giftcard probably buying more beauty products or tresemme shampoo! My favorite is the 7 Day Heat Activated Treatment! I would get some lip gloss! I would use the great haircare products for myself and use the gift card to purchase a flat iron and maybe some new makeup. I would keep the gift card to myself and give the hair products to my girlfriend! I would give them to my mom for her birthday! I would give it to my mom for her bday! I would get some leave in treatment for my hair. I would most likely buy a new face powder with the Walgreens card. I have a face powder addiction! The head wrap is gorgeous and would update my boring ponytails for sure. As for the product, I adore Tresemme and purchase their products regularly, so I could always use more! I would buy a fab new mascara. I love Tressemme so I will get some use out of these products!! I’d use the gift car don beauty products! !